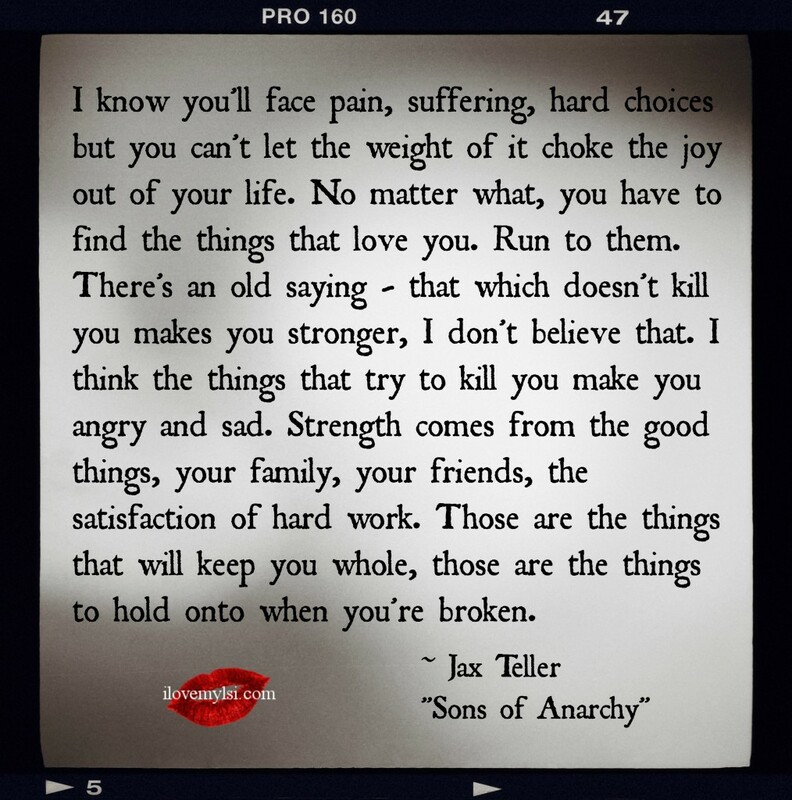 I know you’ll face pain, suffering, hard choices but you can’t let the weight of it choke the joy out of your life. No matter what, you have to find the things that love you. Run to them. There’s an old saying – that which doesn’t kill you makes you stronger, I don’t believe that. I think the things that try to kill you make you angry and sad. Strength comes from the good things, your family, your friends, the satisfaction of hard work. Those are the things that will keep you whole, those are the things to hold onto when you’re broken.